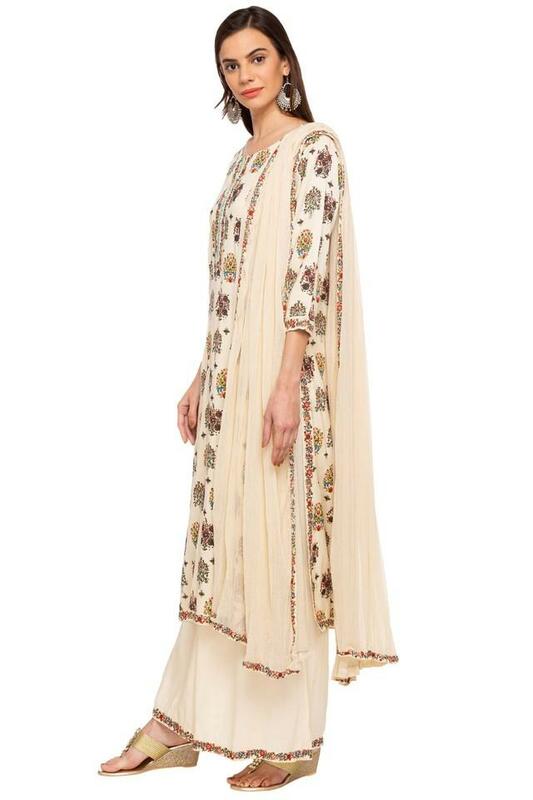 Let your style do the talking by wearing this palazzo suit presented by Stop. The kurta features a round neck, three quarter sleeves that render it fashionable. Crafted with a good quality fabric, which makes it comfortable to wear. 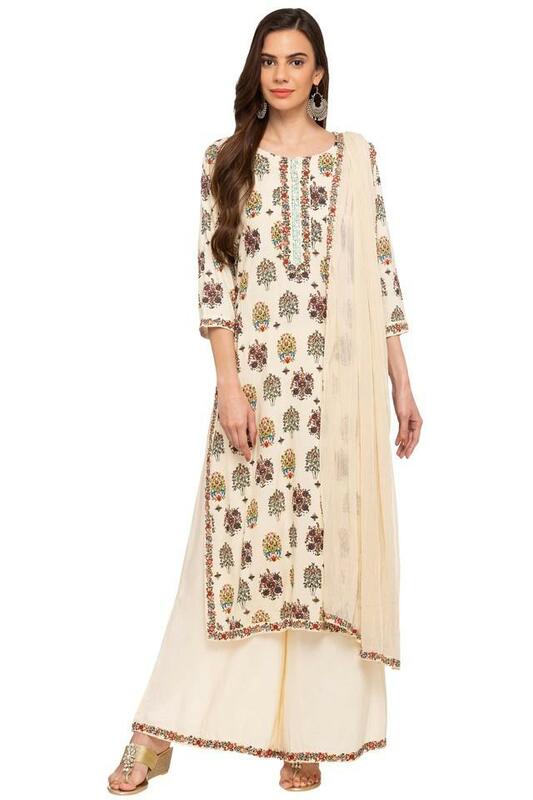 It also features a printed pattern that enhances its appeal, while it also comes with solid dupatta and a pair of palazzos which enhances its visual appeal. 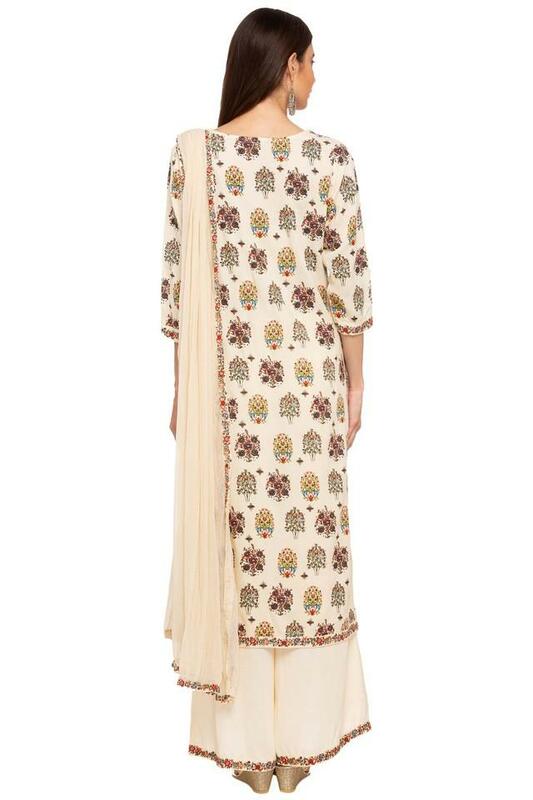 Add to your classic, charming look by wearing this palazzo suit. Pair it up with sandals and some simple Indian jewellery.